On to #'s 6 to 10--and that Human. 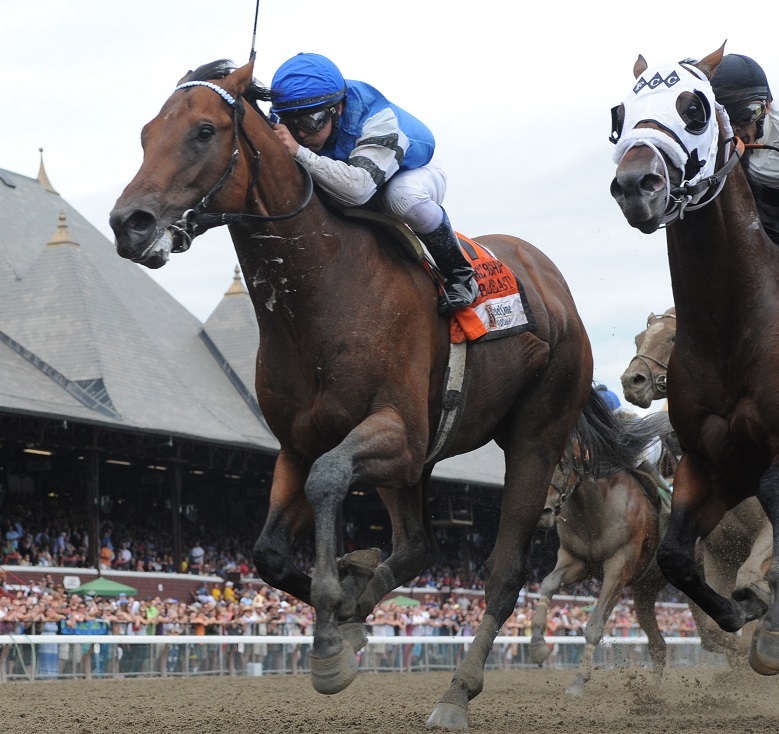 Yes, very big, and his previous win at Saratoga a month earlier was beastly. So trainer Tony Dutrow decided to promote his 3 year old potential star from that 6 furlong allowance race to this Grade 1 at an eighth of a mile longer. He did not disappoint. Kept relaxed behind front running Fast Anna and Wildcat Red, the Big Beast got his cue from Javiar Castellano into the stretch. By the final pole, it was clear that The Big Beast had the momentum. 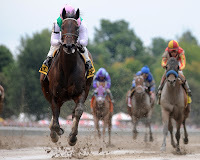 At the finish, he had pulled a lengthening neck ahead, leaving all the others behind, including odds-favorite Coup de Grace and Noble Moon. 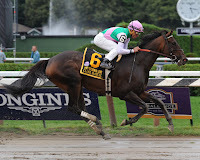 Six weeks earlier, he finished 4th in the mile and a half Belmont Stakes. 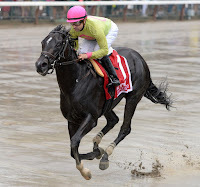 Now, at Saratoga, in the Jim Dandy at 3 furlongs shorter, Wicked Strong faced Belmont winner Tonalist once again, as well as Commanding Curve (2nd in the Derby), Kid Cruz (1st in the Dwyer), and several other talented 3 year olds. Unlike in the Belmont where he paced several lengths behind, this time Wicked Strong was kept close to the front runner by rider Rajiv Maragh. Equipped with blinkers for the first time, he took the lead from Legend at the turn and headed home. 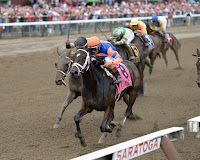 Tonalist, moving into 2nd, gave chase. 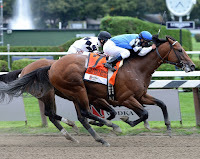 But the Jimmy Jerkens trainee never gave way and was a powerful 2 and 1/2 lengths ahead at the wire. She was 2nd best as a 2 year old the year before at Saratoga in the Grade 1 Spinaway. 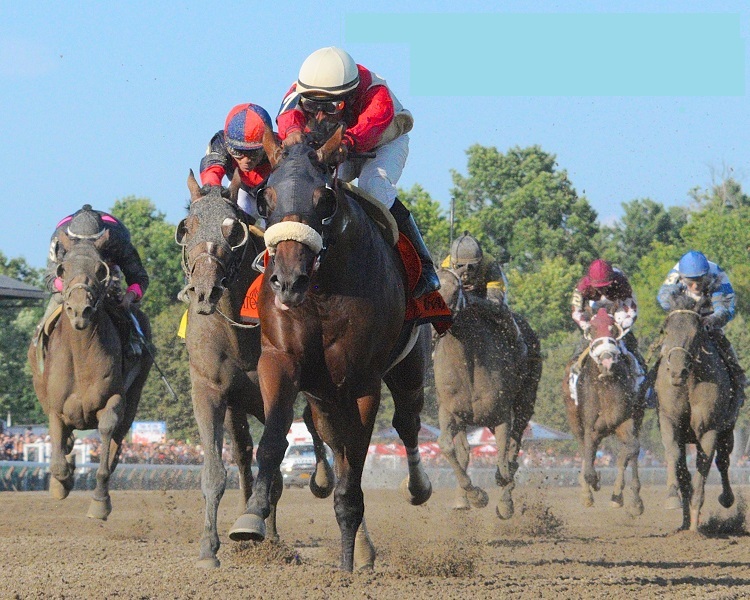 But she began the 2014 meet with a 5 length romp in the Coaching Club Oaks. 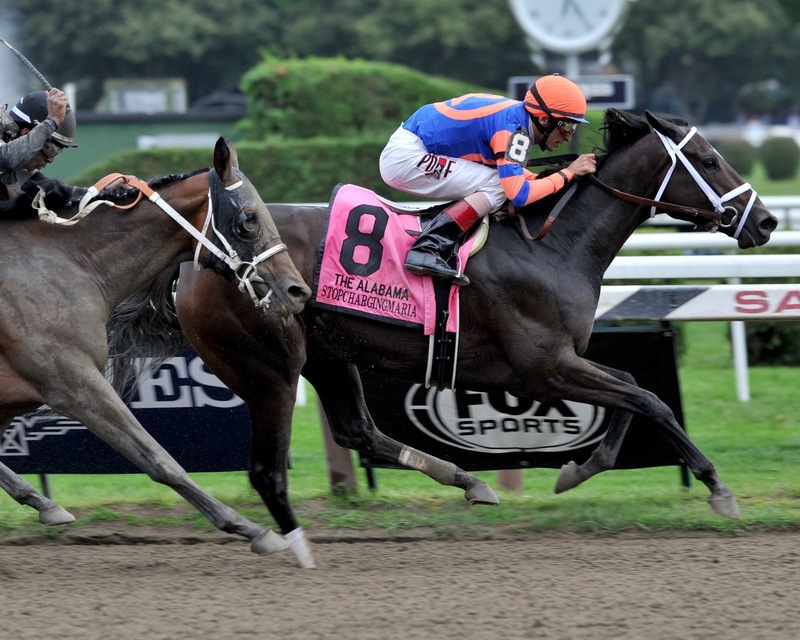 She returned 4 weeks later for the Spa's premier race for 3 year old fillies run at a long 1 and 1/4 miles. 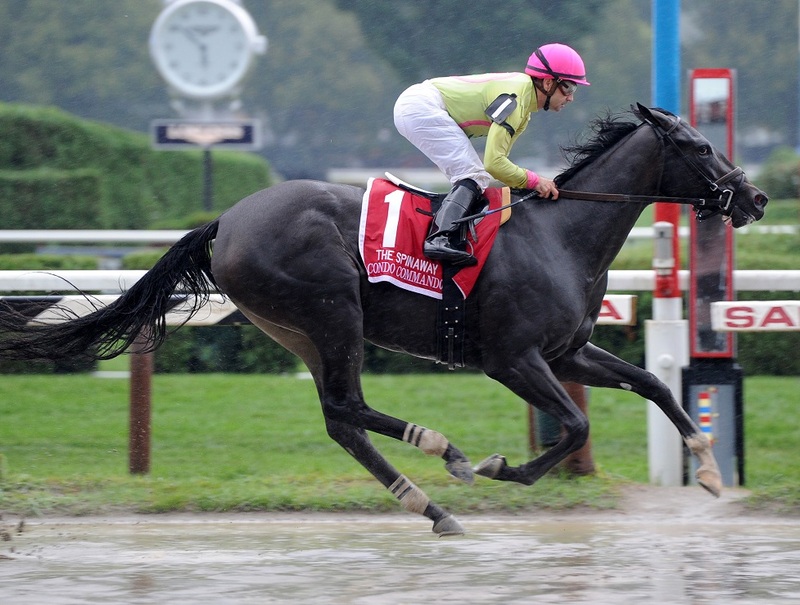 Off as the even-odds favorite, the Todd Pletcher trained Stopchargingmaria was kept close to pacesetting Size by rider Johnny V. By the stretch she had taken the lead and the front runner was moving backward. But several others were giving chase, including a steadily closing Joint Return, followed by Miss Besilu and Fortune Pearl. 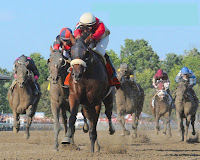 At the finish line, she had held on by half a length, and Owner Mike Repole was back in the winner's circle with his wife Maria for who the filly was named. It was a field full of winners. Stakes winners: Antipathy (Shuvee), Majestic River (Molly Pitcher), Fiftyshadesofhay (Ruffian), Belle Gallantey (Delaware Handicap), Princess of Sylmar (Kentucky Oaks, Alabama, etc.) --and Close Hatches. Let's just say the 4 year old filly was on her way to 4 in a row, including 3 Grade 1's. Despite the talented challengers, the fact is that none of them could challenge her at all on this day. Out in front at the start of the 1 and 1/8 mile Grade 1 for 3 and up fillies and mares, the Bill Mott trained Wonder Woman under Jockey Joel Rosario just destroyed the rest of them in a performance to behold. 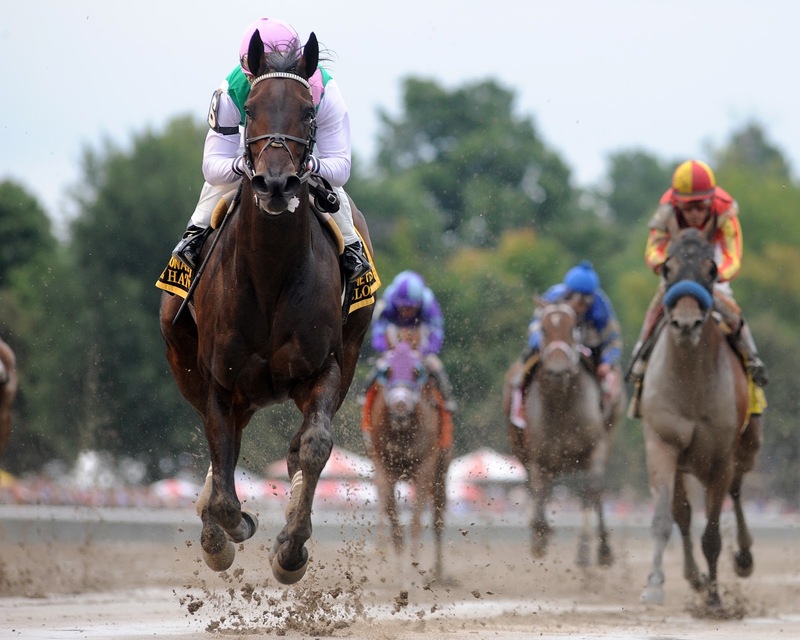 She stayed in front through the distance, and reached the finish line 5 lengths before anyone else. The Rudy Rodriguez trained filly won her 1st race--a 5 and 1/2 furlong sprint for 2 year olds a month earlier at Saratoga--by 12 lengths! Now, in the 2nd race of her career, the Grade 1 for juvenile fillies over 7/8ths of a mile, she made it look even easier. After a rough start out of the gate, jockey Joe Bravo took Condo Commando to the lead and well...For most of the 1 minute and 24 seconds and change, she put on a veritable solo performance. The talented Angela Renee, By the Moon, Darling Sky, and others, simply tried to finish in the same zip code. 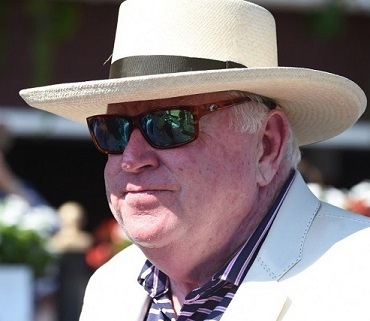 As Tom Durkin roared in his very last call of his career at Saratoga, "Splash-tastic!" 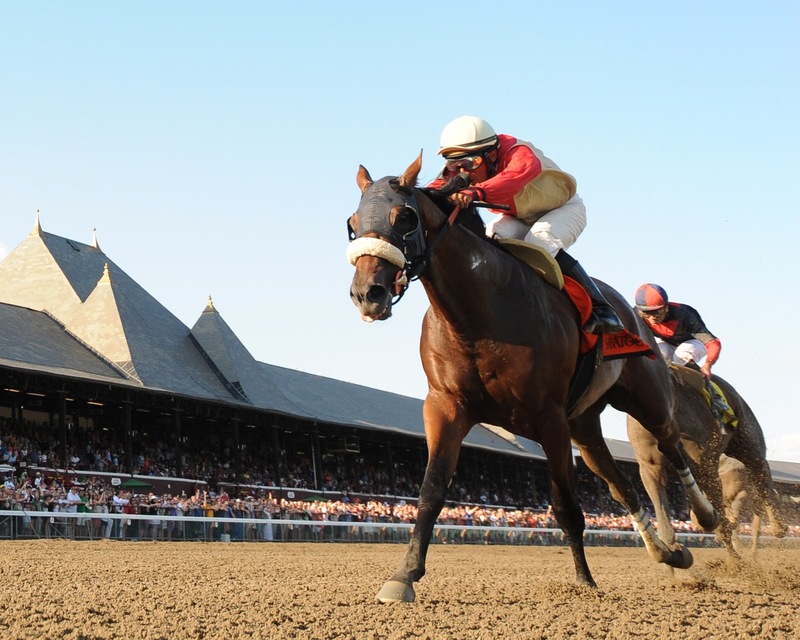 As legendary as Saratoga Race Course itself. If the winner of that race was "splash-tastic," then Durkin has been "Fan-tastic" for all his fans who have loved his being so "Call-tastic" for so brilliantly calling some 80,000+ races over the years. 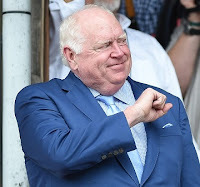 Yes, race fans--and the millions more not-so-fans who nevertheless tuned in to the classic races each year--will sorely miss that "mellifluous baritone voice and his vivid imagination" (as the New York Times' Joe Drape put it). But for those of us who visit Saratoga during the coming meet (and for some of us that's almost daily), there will be The Tom Durkin Replay Center at the race course where some of Durkin's classic calls can be heard while watching videos of the races. 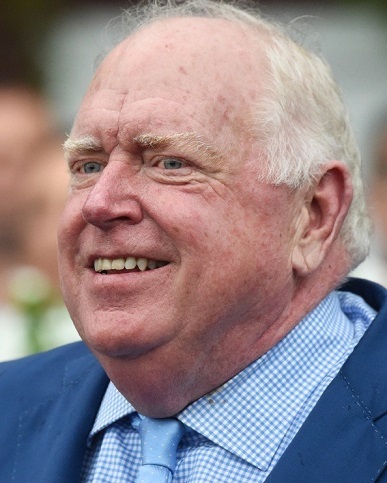 It has really been a treat--no, a feast!--to listen to Tom Durkin all these years. Even if I had heard The Voice just once, calling Rachel Alexandra's victory in the 2009 Woodward, that would have been enough for a lifetime. Wishing you all the best of the best Mr. Durkin--which is exactly what you gave us. 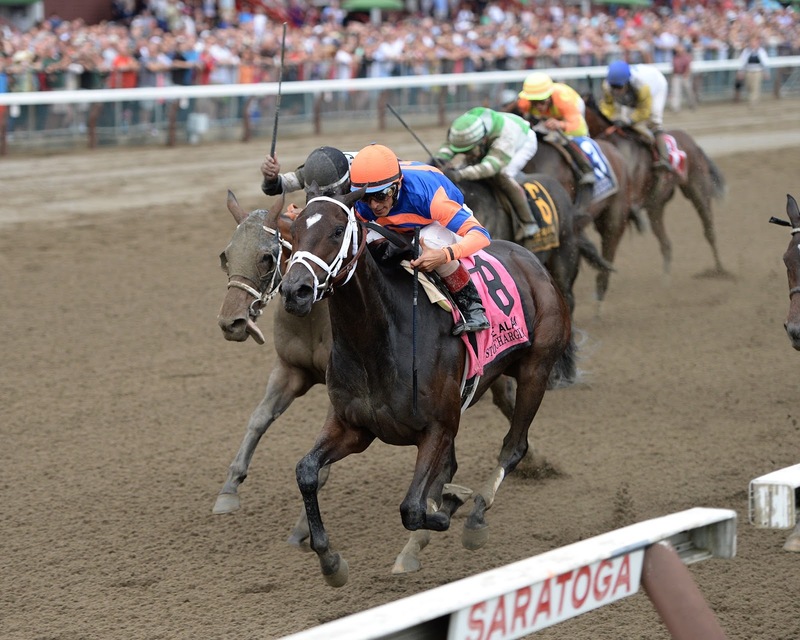 So that's Saratoga Highlights 2014. Ready for the meet? Opening Day tomorrow, Friday July 24. Hoped this helped get you psyched for a great 40 days worth of the best. 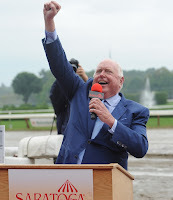 Thanks again to Bob Mayberger and Adam Coglianese (as well as Lauren King and Chelsea Durand) for all those great photos they provided.